"Wong brilliantly uses Emily's life as an artist, a waitress, and a gifted student living in two cultures to make her free verse vibrant... a wonderful work... it fills the most popular teen reading need-- a short book with substance. Highly recommended." "The poetic form provides the prefect vehicle for Emily's unique voice. Sensitive and finely crafted." "A highly visual, eloquently wrought first novel." "Rich in language and imagery, Seeing Emily is a good choice for fiction collections." "Heartfelt; sure to attract those YAs who are close to the immigrant experience." "Wong's best moments come in her dialogue, where characters speak simple sentences with deeper meanings." 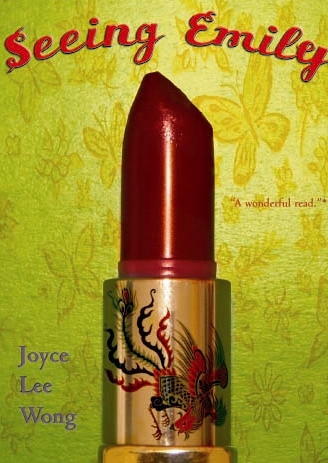 "Sweet novel... the realization that all parents want their children to achieve their fullest potential-- sons to become dragons, girls, phoenixes."